Home » Family Life » Homemaking » 10 Things To Do With Acorns for Loads of Fall Fun! 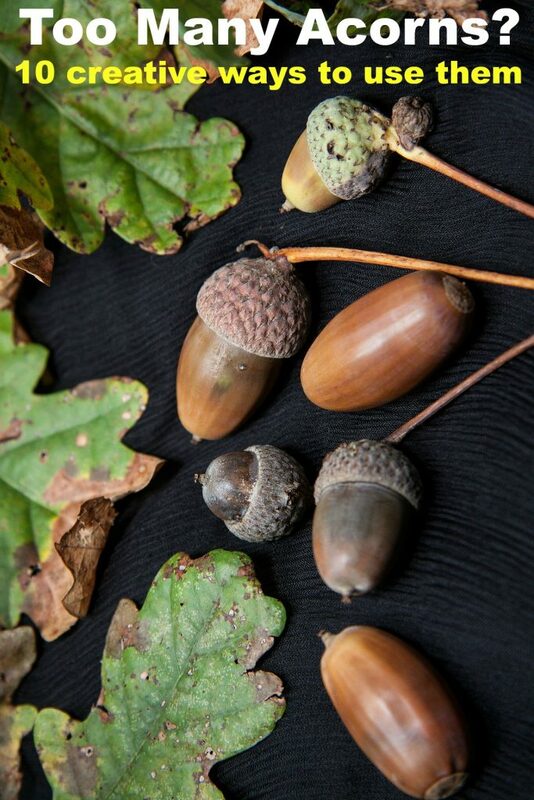 I went for a walk yesterday and all along the ground I am starting to see more and more acorns. It got me wondering about creative things to do with acorns since they are so plentiful right now. My son always used to gather them up to use in his slingshot (target practice only of course!) but I figured there had to be a ton more ways to use acorns except for target practice. I started to do a bit of research and am honestly amazed at how many uses for acorns that I found. If you are wondering how to attract birds to your yard, the easiest way to do that is with food! If you go on a walk, take a bag with you and bring home some acorns for your backyard birds. Nuts are a great source of fat for energy and healthy feathers. Nuts are especially popular as a winter bird food because they are long-lasting and easy to store for later use. Woodland bird species like woodpeckers, chickadees, nuthatches, blue jays, robins and many others will feast on acorns if you put them in a tray near your bird feeder to keep them away from squirrels. 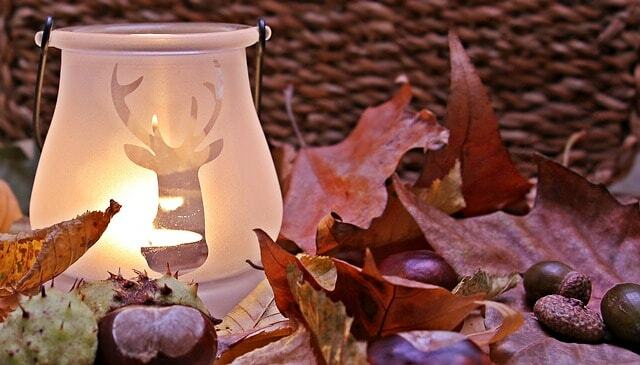 Fill a large, clear jar or vase with acorns and tuck a votive candle in the center. Make sure the votive is in a glass candle jar to prevent fires! This makes a very inexpensive centerpiece for Thanksgiving or Christmas. Check out this acorn centerpiece idea on Pinterest for inspiration! If you are having a holiday party, this is a very frugal way to decorate! If you home school (or just like playing educational games with your kids) acorns are a great way to teach counting and sorting skills. You can practice simple addition and subtraction problems or ask your child to sort them by size or color. There are endless ways to use acorns in your home school program. Including nature in your lesson plans is a great way to teach STEM concepts to kids. Acorns are just giant oak tree seeds. 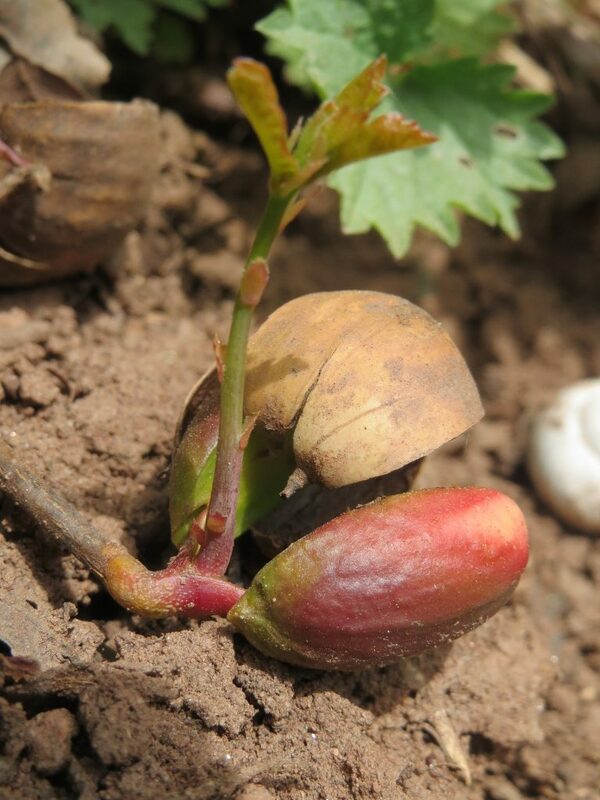 Teach your child how seeds sprout and about the life of an oak tree by planting the acorn in some soil and watering it to encourage it to sprout. You can do this in a pot full of soil or use a glass beer or soda bottle full of water. As long as the water keeps the base of the acorn wet, the acorn will sprout right out the top of the bottle. Take a simple, plain headband and kick it up a bit with acorns and a few felt fall leaves. Using a hot glue gun, glue on acorns and leaves and turn a boring dollar store headband into something your child will have fun showing off. There are so many acorn crafts on Pinterest it is hard to list them all. 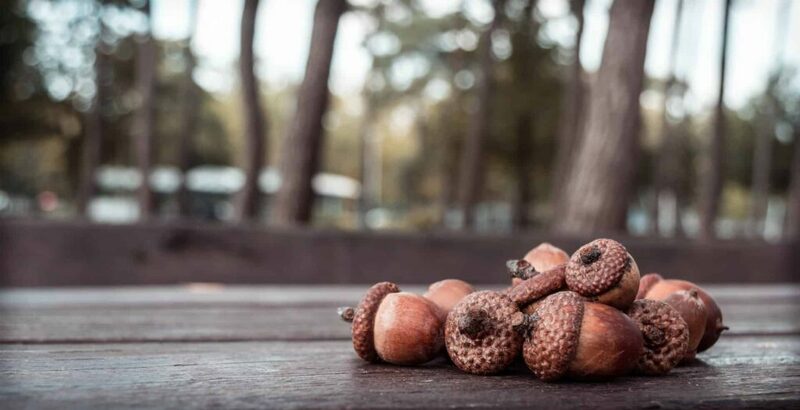 From painted acorn necklaces to tiny little acorn mice, check out a few of these acorn crafts for some really creative things to do with acorns this fall. If you are looking for things to make out of acorns, I love the acorn people that were featured on Martha Stewart! Check out this video and learn how to make this easy acorn craft yourself! Back before the age of grocery stores and farmers markets, people ate the things they found nearby. Did you know that acorns are edible? 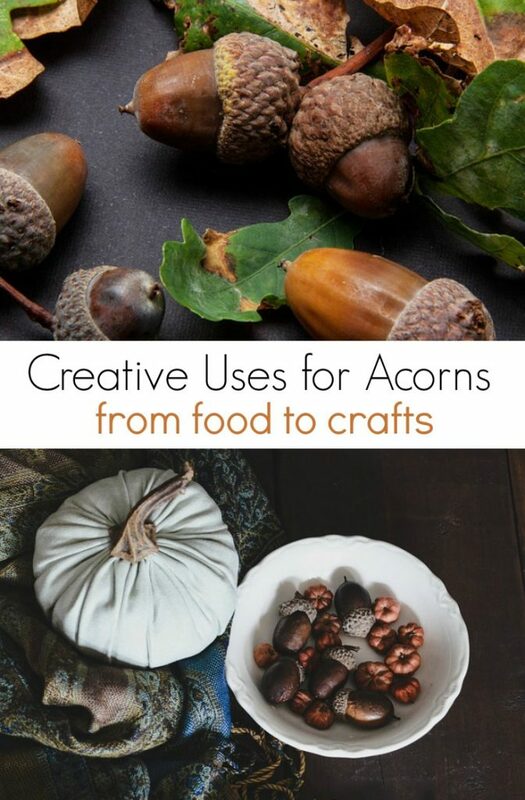 Learn how to turn acorns into food and discover the joys of wildcrafting in your own back yard. This is one of those things to do with acorns that I will have to take other people’s word for. I don’t think I could get my family to eat acorns! According to the articles I read online, crushed acorns can be used as bedding for some reptiles and even burned in pellet stoves. You may want to do a bit more research on these ideas if you plan on doing them. Have a cute fall photo that you want to show off? Glue a ton of acorns to a thrift shop photo frame and really set a nice scene for your fall photo! Check out how to make an acorn photo frame and grab your glue gun. Who would buy acorns? People who are crafty and enjoy selling their craft creations for money. Sell acorns on eBay or Craigslist and make a few dollars, even if you aren’t crafty yourself! If you can’t think of any more things to make with acorns but still have WAY too many, selling them may be a good idea. Harvest your acorns as soon as you can once they fall from the tree. Place them in a bowl of water to rinse them. Agitate them gently and drain. Lay the acorns on a towel to dry for about 1 hour. Place the acorns on a cookie sheet and put pan in the oven. Place the acorns in the oven for 1 1/2 to 2 hours. Leave the oven door cracked slightly so it doesn’t get too hot. Remove them from the oven and let cool completely. Then, use in acorn crafts as needed. There are so many creative things to do with acorns so make sure you bring a bag to gather them up on your next nature walk! Have any other ways to use acorns that you want to share? 10 Creative Things to do With Acorns for Loads of Fall Fun! My kids are always collecting acorns. They would love the sprouting experiment! We used to have acorns galore in our SUV's air conditioner box. Squirrels hid them in there, lol. I thought it was annoying but still funny. :) Your post reminded me of it. My girls love to collect acorns while we are hiking. That sprouting activity looks really cool. We might have to try it. My kids love collecting little acorns, they love their little "hats"! Thanks for the ideas of doing something useful with them!